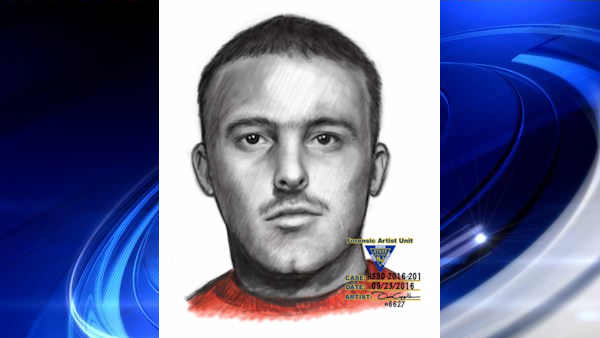 ROSELLE, New Jersey (WABC) -- Police in New Jersey have released a sketch of a suspect wanted for several recently reported luring incidents, most of which have taken place in Roselle. At least three incidents happened in Roselle during the last week, police say. The victims, all girls ranging in age from 12 to 16, all reported that the incidents involved an unknown male either asking them if they wanted a ride or physically grabbing them on the street. None of the girls were injured, as each managed to escape while the suspect drove away. Investigators say the reported incidents all took place in a small area extending from Locust Street to Chandler Avenue between East 5th and East 10th avenues in Roselle, near Abraham Clark High School and Leonard V. Moore Middle School, and each occurred between the hours of 7:30 to 9 a.m. or 3:30 to 4:30 p.m.
Police are also investigating luring incidents in Kenilworth and Linden during the last week. In Kenilworth, a 15-year-old girl reported being approached by an unknown male at approximately 2:15 p.m. September 21 in the area of Monroe Avenue and North 16th Street, while in Linden, two 10-year-old girls reported an unknown vehicle following them near School No. 2 on South Wood Avenue at approximately 8 a.m. on September 27. Anyone with information is being urged to contact Union County Prosecutor's Office Sgt. Timothy Durkin at 973-698-9529, Roselle Police Department Detective Carmen Olivera at 908-245-9200, Kenilworth Police Department Sgt. James Grady at 908-276-5001, or Linden Police Department Lt. Airan Fernandez at 908-474-8412.